I am throwing a birthday party for my 5 years old son.. he loves super heroes so my party theme is super heroes... now the problem is what kind of food should i serve in the party..they all are kids so will not like simple food such as Dal Rice bhaji...waiting for the response Heemali replied. 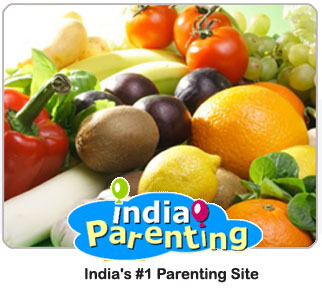 Hi dear do not think as an issue just think that you need to prepare food keeping in mind that what kids loves the most and then plan it as well speak to some mothers if possible to get an idea what can be done in this situation. Heemali replied. Hi dear please tell some caterers to prepare the food as they will know what kids like the most and then accordingly they will prepare variety of food so please get a caterer book immediately and do not panic. Esha replied. Hi there please do think so much and just order food from online as they will give you at your door step and will not cost you also that much so please do in that way and enjoy the treat with your family. All the best dear. Falak replied. Hi Rimmy this is not a case where you can serve dal rice because they will not have that food you need to plan something good and delicious food so that kids will love to have and if you plan to give dal rice no kid will have it. Devan replied. Hello madam i think you are thinking to much and you should not think that much please do not serve dal rice as that will not is to be given on a birthday treat and also make sure if you are not comfortable to prepare order it online. Deepish replied. Hi there please do not worry so much as this is not an issue what you can do is just plan something good as those are little kids and they do not have that much food so please plan it accordingly and it will be good. Disha replied. Hello dear please do not panic and just book a caterers as they will take care of this and you will not have to be worried because they know what kids like the most as its their regular work and also they will give you proper satisfaction. Devyan replied. Hi Madam i think giving dal rice is totally bad idea as who serves that in a birthday party, please re think and plan something different or if you can also plan one thing that is simple and always work just keep wafers and cake. Deepti replied. I think you should plan something good as kids love to see variety and then you need to plan, if possible do one thing arrange live counters so that even kids parents enjoy having food . All the best dear enjoy the most. Deepali replied. hi there giving dal rice will not look good in a birthday party so please do not think also giving that instead just give some good junk food as kids like that the most and they will not have in large quantities so please plan accordingly. Shubham replied. Hello madam this is very easy just do one thing order wafers in large quantity as kids love them and also order pizza form any of the joints near you as all kids love pizza the most so its done and you dont have to prepare at home also. Sangeeta replied. Hello Rimmy this is the most difficult task i must say but do not worry as kids dont have that much food so keeping it simple is the best idea just prepare idli with wafers and samosa thats it, no need of any other items. Seema replied. Hi there nothing to worry so much just do one thing if you are so confused just google it and find what can be given in food for a five year old birthday treat and you will get lot of options in that so from there you can choose. Sarita replied. Do one thing make a list of children's name who all are coming and then call all their mothers and ask what they like so based on their likes prepare the menu as you will come to know the majority of the children what they like and not. Shivangi replied. Hi dear please make sure one thing that if you want to make sure all the kids have food then you have to prepare food according to their choice and keeping in mind what they like so you can always speak to their mothers on this. Amaira replied. Hi there please tell me one thing you must be knowing what your kid loves the most to have so prepare that food and then too if you feel in two minds then simply order food from a good hotel and serve it why to think so much. Anjali replied. Hello dear please tell me one how many kids are coming so then accordingly you can prepare for it and also do not prepare many items as kids love to play and enjoy in parties and they dont have much food so you need to think in that manner. Anamika replied. I think giving some good is ideal but then kids dont have that much capacity to have food in the quantity so please do not prepare foods instead just serve wafers with some cold drinks and good slice of cake. Anaida replied. Hello dear this is something good to ask as the kids are very choosy to have food and they normally dont have food if they see something different so please make sure whatever you prepare keep in mind that its normal and not too fancy. Anju replied. Hi Rimmy please do not worry so much as this is very simple as kids of this age like junk food but less spicy and also they like to have more of sweet kind of things so please make sure you add two three items which are sweet in taste. Hi dear do not think as an issue just think that you need to prepare food keeping in mind that what kids loves the most and then plan it as well speak to some mothers if possible to get an idea what can be done in this situation. Hi dear please tell some caterers to prepare the food as they will know what kids like the most and then accordingly they will prepare variety of food so please get a caterer book immediately and do not panic. Hi there please do think so much and just order food from online as they will give you at your door step and will not cost you also that much so please do in that way and enjoy the treat with your family. All the best dear. Hi Rimmy this is not a case where you can serve dal rice because they will not have that food you need to plan something good and delicious food so that kids will love to have and if you plan to give dal rice no kid will have it. Hello madam i think you are thinking to much and you should not think that much please do not serve dal rice as that will not is to be given on a birthday treat and also make sure if you are not comfortable to prepare order it online. Hi there please do not worry so much as this is not an issue what you can do is just plan something good as those are little kids and they do not have that much food so please plan it accordingly and it will be good. Hello dear please do not panic and just book a caterers as they will take care of this and you will not have to be worried because they know what kids like the most as its their regular work and also they will give you proper satisfaction. Hi Madam i think giving dal rice is totally bad idea as who serves that in a birthday party, please re think and plan something different or if you can also plan one thing that is simple and always work just keep wafers and cake. I think you should plan something good as kids love to see variety and then you need to plan, if possible do one thing arrange live counters so that even kids parents enjoy having food . All the best dear enjoy the most. hi there giving dal rice will not look good in a birthday party so please do not think also giving that instead just give some good junk food as kids like that the most and they will not have in large quantities so please plan accordingly. Hello madam this is very easy just do one thing order wafers in large quantity as kids love them and also order pizza form any of the joints near you as all kids love pizza the most so its done and you dont have to prepare at home also. Hello Rimmy this is the most difficult task i must say but do not worry as kids dont have that much food so keeping it simple is the best idea just prepare idli with wafers and samosa thats it, no need of any other items. Hi there nothing to worry so much just do one thing if you are so confused just google it and find what can be given in food for a five year old birthday treat and you will get lot of options in that so from there you can choose. Do one thing make a list of children's name who all are coming and then call all their mothers and ask what they like so based on their likes prepare the menu as you will come to know the majority of the children what they like and not. Hi dear please make sure one thing that if you want to make sure all the kids have food then you have to prepare food according to their choice and keeping in mind what they like so you can always speak to their mothers on this. Hi there please tell me one thing you must be knowing what your kid loves the most to have so prepare that food and then too if you feel in two minds then simply order food from a good hotel and serve it why to think so much. Hello dear please tell me one how many kids are coming so then accordingly you can prepare for it and also do not prepare many items as kids love to play and enjoy in parties and they dont have much food so you need to think in that manner. I think giving some good is ideal but then kids dont have that much capacity to have food in the quantity so please do not prepare foods instead just serve wafers with some cold drinks and good slice of cake. Hello dear this is something good to ask as the kids are very choosy to have food and they normally dont have food if they see something different so please make sure whatever you prepare keep in mind that its normal and not too fancy. Hi Rimmy please do not worry so much as this is very simple as kids of this age like junk food but less spicy and also they like to have more of sweet kind of things so please make sure you add two three items which are sweet in taste.